Favorites – Welcome! How can we help? 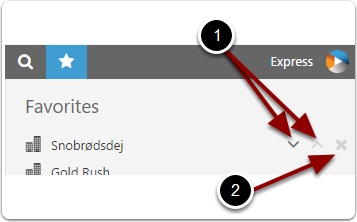 We have added favorites to our Express panel, when accessing WorkPoint 365 in the browser. The favorites are automatically synchronized between the the Express panel and WorkPoint Express. Accessing the favorites panel is just a matter of clicking the icon on the right hand pane or pressing F2 on your keyboard.